The critical temperature is the temperature above which it is no longer possible to liquify the substance in question by increasing the pressure. 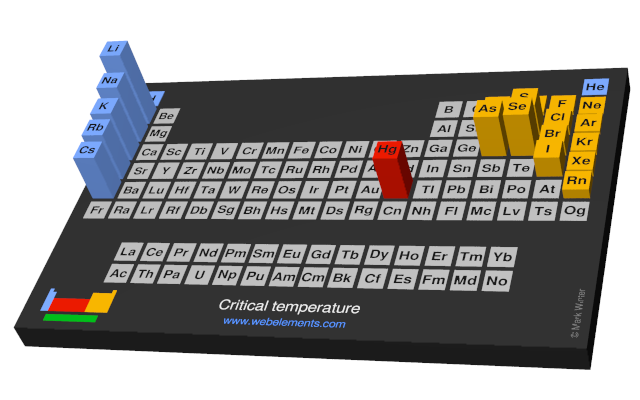 Image showing periodicity of the chemical elements for critical temperature in a periodic table cityscape style. 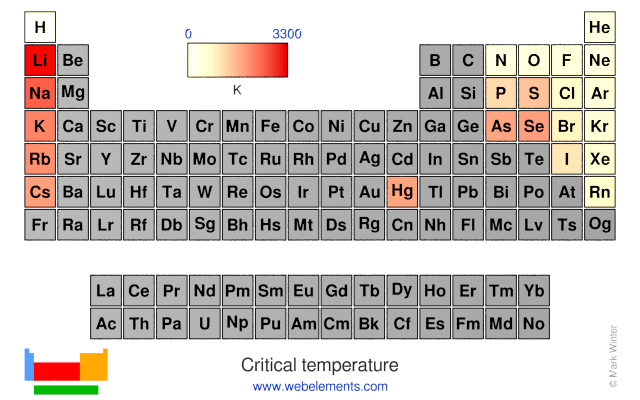 Image showing periodicity of the chemical elements for critical temperature in a periodic table heatscape style. 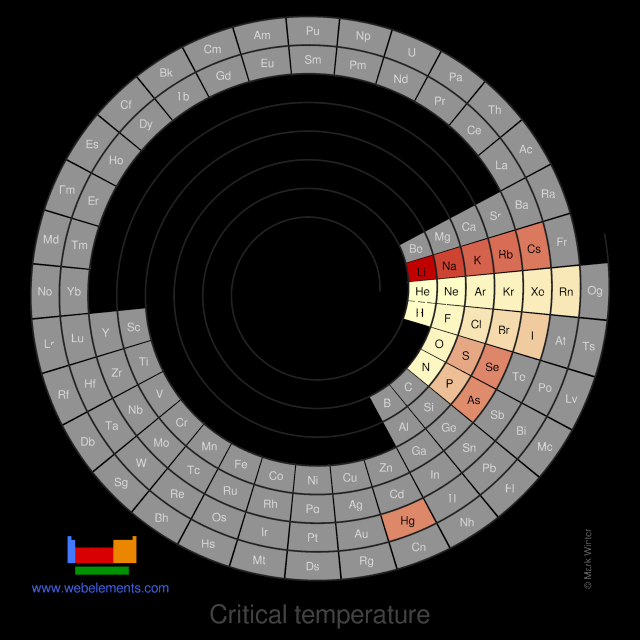 Image showing periodicity of the chemical elements for critical temperature in a spiral periodic table heatscape style. 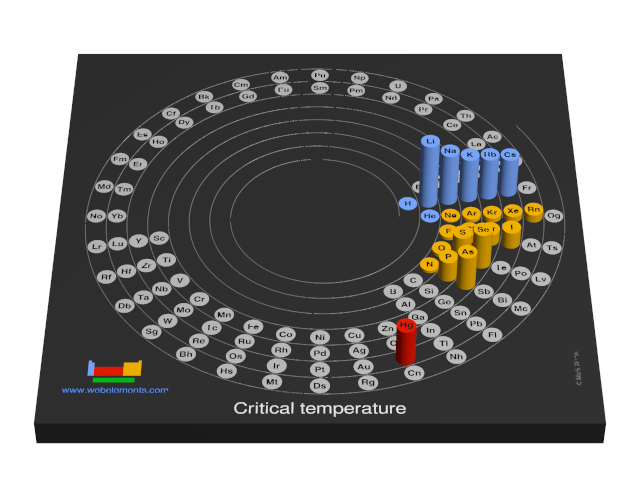 Image showing periodicity of the chemical elements for critical temperature in a 3D spiral periodic table column style. 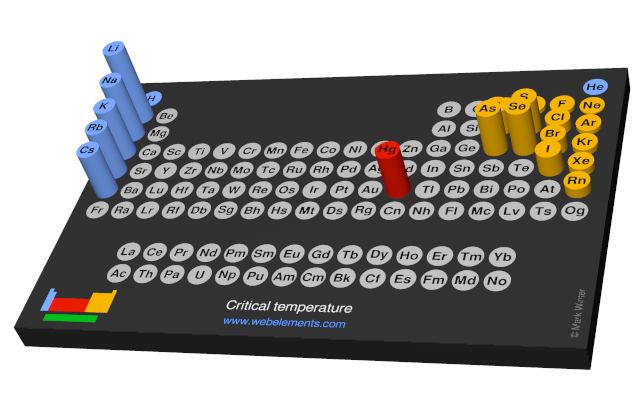 Image showing periodicity of the chemical elements for critical temperature in a 3D periodic table column style. Values given for the Group 1 elements (reference 1) are obtained by extrapolation. D. Ambrose in Chemical Rubber Company handbook of chemistry and physics, D.R. Lide (ed.) CRC Press, Boca Raton, Florida, USA, 77th edition, 1996.